St Saviours children’s home in London’s East End has provided a safe refuge for local children for decades and Sister Beatrice and her team are as busy as ever. New staff member Jinny is glad to escape the lewd advances of her drunken and slovenly mother’s rotten boyfriends, but can she prove she isn’t a chip off the old block? 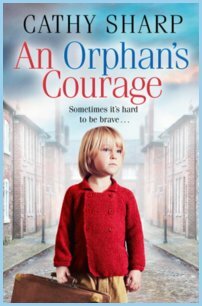 As ever, the staff are tested when orphaned brother and sister Andy and Beth are brought to the home they are clearly terrified of something, and Andy refuses to be sent home, but can Sister Beatrice get to the bottom of their story before they are returned to their stepfather? It’s all in a day’s work for the home but things are about to change forever will they be ready to face the future?